If you’re in the data center business and not familiar with The Uptime Institute’s tier ratings, then you’re probably not a very good data center company. Their Tier Standards have been working on data center classification and sorting the good data centers from the beefed-up, great ones for over twenty years. But what exactly are Data Center Tier Standards and why do they matter so much? What Is the Uptime Institute’s Tier Standard System? Data center standards exist to evaluate the quality and reliability of a data center’s server hosting ability. The Uptime Institute uses a somewhat mysterious four-tier ranking system as a benchmark for determining the reliability of a data center. This proprietary rating system begins with Tier I data centers, which are warehouses with power, and ends with Tier IV data centers, which offer 2N redundant power and cooling in addition to a 99.99% uptime guarantee. A Tier III data center is concurrently maintainable, allowing for any planned maintenance activity of power and cooling systems to take place without disrupting the operation of computer hardware located in the data center. 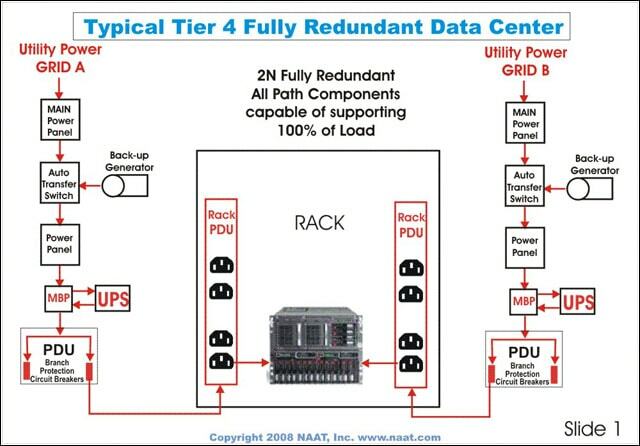 In terms of redundancy, Tier III offers N+1 availability. Any unplanned activity such as operational errors or spontaneous failures of infrastructure components can still cause an outage. In other words, Tier III isn’t entirely fault tolerant. A Tier 4 data center is fault-tolerant, allowing for the occurrence of any unplanned activity while still maintaining operations. Tier 4 facilities have no single points of failure. All of Colocation America’s data center locations fit the Tier 3 classification—join today! 28.8 Hours of downtime per year. What Constitutes Tier 4 Data Center Ratings? Host in one of our data centers today! What Tier Standard are Colocation America’s Data Centers? Unfortunately, the Uptime Institute has chosen not to fully publish the evaluation criteria for these different data center levels. 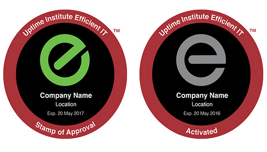 Few data centers have tier certifications from the Uptime Institute. Only 38 facilities or design documents for facilities have official tier certifications at this point; these are primarily enterprise data centers. The result is that the Uptime Institute’s definitions have been misused by the industry, ignorantly in many cases. Facility builders, designers and owners have tried to tweak the terminology slightly to give it their own unique flavor. Enterprises should question any Tier IV claims by data center providers because it is difficult to get customers to pay the rates necessary to monetize the level 4 data center investment of roughly double that of a Tier III facility. Tier I Research has established a bi-level data center tiers quality rating system, with the following criteria. Data center tier standards objectify the design features of a particular facility based upon infrastructure design, capacities, functionalities and operational sustainability. Therefore, we classify our data centers as meeting Tier 3 data center standards. However, in the summer of 2015, the Uptime Institute has given a bit more detail into how they will rank data centers moving forward. In July 2015 The Uptime Institute revised their data center standards to try and stop some disreputable data centers from fudging their rankings. What does all of this mean, though? Basically, if your data center ranking was based on design alone, that particular data center won’t be listed on the Uptime Institute’s website and therefore there hopefully won’t be any confusion about the rankings of a particular data center ever again. You can read more about the new ranking system here. Basically what this means is that rather than what they call “prescriptive requirements” like the cooling, power, etc. listed above, the Efficient IT Stamp of Approval is more or less based on how the data center operates day-to-day and what kind of outcomes they are producing based on certain situations. To be approved, a data center has to already have been entrenched in meeting the Uptime Institute’s integrity standards for industry excellence. The approval stamp lasts for two years upon when another evaluation will be performed and another stamp will be stamped. To call yourself activated, your data center must be efficiently working towards meeting the standards of excellence. The activated stamp is valid for a year upon when another evaluation will be performed where you can be upgraded to approved, or given another year of activated. Efficient IT is quite similar to the Management and Operations (M&O) Stamp of Approval the Uptime Institute delivered back in 2011. They love their stamps—and customers love to see that a data center has these stamps.